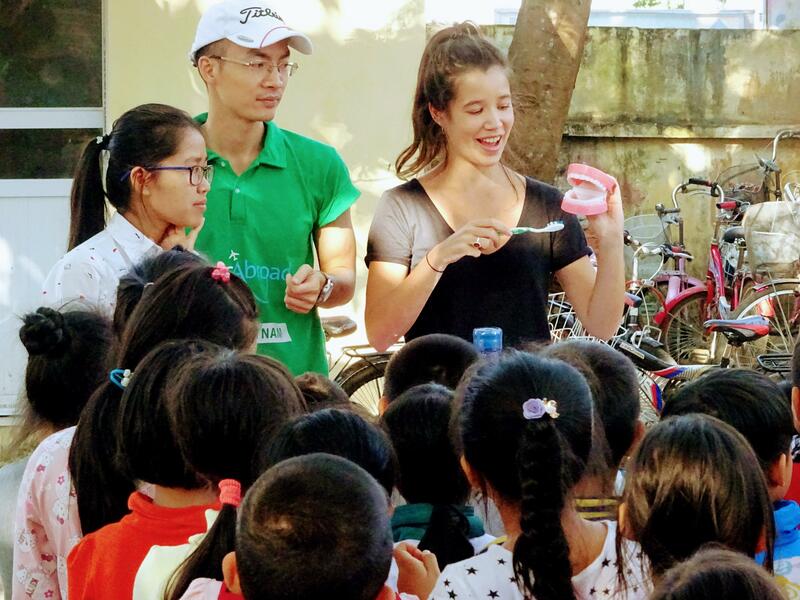 Volunteer with children in Vietnam and support the work of local teachers and caregivers at disadvantaged daycares or special needs centres. You’ll focus on early childhood development, and improving quality of life. This is a great way to get practical childcare experience, which could help your future career. In Vietnam, the care centres we work with are understaffed and lack resources. We need your help to give local staff the support they need. They’ll appreciate having an extra pair of helping hands. In addition, you’ll work toward our long-term, sustainable goals for education and children’s care. You’ll live and work in Hanoi, Vietnam’s capital city. Seize the opportunity to see and do as much as possible, and eat your weight in spring rolls and pho! We offer discounts for families and groups of friends travelling together. Call us on 01 571 5080 for more info. When you apply you only pay €295, which comes off the total price. Looking to do more than one project? Call us on 01 571 5080 to see if we can offer a discount. 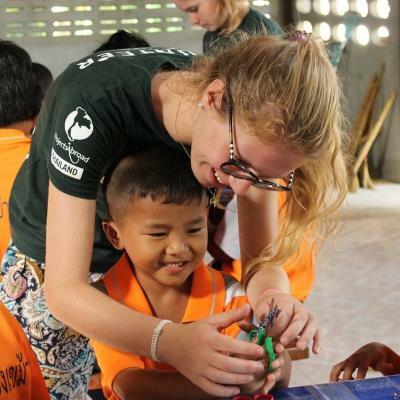 Is volunteer work with children in Vietnam right for me? If you want to help underprivileged children, our Childcare Project in Vietnam gives you the opportunity to support children in need. This kind of childcare experience will also add value to your CV, which could help your future career. You’ll improve your communication, leadership, and organisational skills, which can be applied to any career you pursue. You don’t need previous experience to join. Projects Abroad staff and local caregivers and teachers will teach you everything you need to know, and help guide your work. We also run regular workshops for our Childcare and Teaching volunteers, where you can exchange ideas and discuss challenges. In addition, we have online resources you can draw on. This project runs throughout the year, and you can join at any time from a minimum of two weeks. We encourage you to stay longer, so you can have a bigger impact on the children. This project is also perfect for qualified professionals. With your skills backing up our ongoing efforts, we can make an even bigger difference together. We'll match you to the placement where your skills are needed most. This means you can share your training and and knowledge with others. 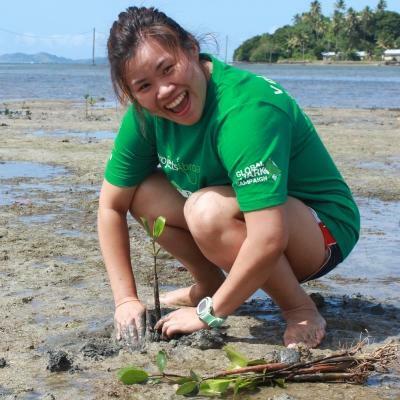 You can work hand-in-hand with our partner organisations and local communities to support sustainable development. If you have relevant skills or qualifications, read more about how you can make use of them with Projects Abroad. What will I do on this Childcare Project in Vietnam? A child’s early years are a critical time for their development. They need to learn skills that will allow them to thrive later in life. This is why early childhood development is a major focus at the daycare centres we work with. You’ll help with this by using games and activities to teach certain skills, like improving hand-eye coordination. You’ll identify those skills using our early childhood development checklists. You’ll also help monitor children’s progress by uploading information and notes to our Global Impact Database. Several of our partner placements work with children who have disabilities, like autism or Down’s syndrome. Your role here will be to help improve quality of life and support education. You’ll do this through activities like easy games, and arts and crafts. Improving hygiene is an important goal at our Childcare Project in Vietnam. You’ll need to encourage the children to practice good hygiene everyday, and make sure they wash their hands and brush their teeth. 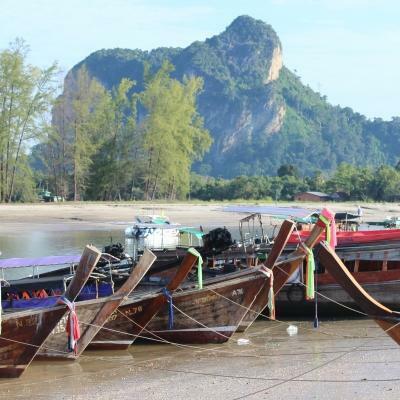 Being able to speak English is a huge benefit to people in a country with a thriving tourism industry. If you work at a special needs centre, you can teach basic English to some of the older children. At the daycare centres, you’ll teach basic English words and phrases, and encourage the kids to practice speaking with you. This will give them more confidence expressing themselves in English. Where will I work on the Childcare Project in Vietnam? You’ll work at a daycare centre or centre for children with special needs in Hanoi, Vietnam’s capital. The centres usually have large numbers of children, making it difficult for the local staff to give each child the attention they need. Most of the children come from disadvantaged backgrounds. Some of them have physical or mental disabilities. Hanoi is the second largest city in Vietnam with around 7.5 million people. While you travel around the city, you’ll navigate your way through thousands of motorcycles, Vietnam’s primary mode of transport for most people. Follow the delicious smells coming from street food vendors at nearly every corner. Enjoy lunches of spring rolls and Vietnam’s famous pho, a noodle dish with rice, broth, herbs, and chicken or beef. Your daily schedule will vary slightly depending on your placement. You will generally begin working at between 8am and 8:30am. There will be a lunch break around midday for you to eat and have a nap if you need it. Your day will end around 4:30pm. Throughout the day at a daycare centre, you’ll assist staff with education. You’ll do things like play games, teach new English words, do arts and crafts, and more. All of these activities support our goal of improving early childhood development. You’ll also encourage the children to practice good hygiene by washing their hands after playing outside and before meals. If you work at a special needs centre, you’ll focus on improving the children’s quality of life and level of stimulation. Your activities here depend on the needs of the children. They can include tasks like encouraging daily hygiene routines, playing games, or helping older children with basic English. You’ll return to your host families in the evenings. Your weekends will be free for you to explore. Visit spectacular landmarks attractions such as Ha Long Bay, a UNESCO World Heritage Site. You can also visit ancient temples, shop till you drop at night markets, drink endless cups of Vietnamese coffee, and sing your heart out at karaoke bars. What are the Aims & Impact of working with children in Vietnam? The main aim of this project is to improve quality of life for children from disadvantaged communities in Vietnam, especially children with disabilities. In Vietnam, adults and children continue to suffer the effects of Agent Orange, a dangerous chemical used during the Vietnam War. The chemical damages genes, which means that the children of people exposed to Agent Orange are often born with disabilities. 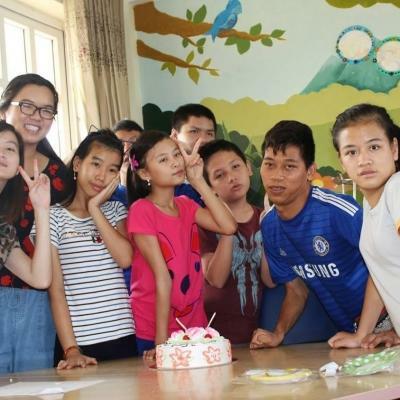 Projects Abroad has elected not to work with children in orphanages in Vietnam, but rather focus on community-based programmes that allow children to remain within their families. We work with these children at special needs centres. Our goal is to help improve their quality of life and education. We also work at daycare centres to support early childhood development. We need your help to do this. Join us on the Childcare Project in Vietnam to help us reach these goals while experiencing life in a different country. As a Vietnamese American, I chose Vietnam for obvious reasons. I wanted to learn more about my rich culture and heritage, but also to give back to my roots in some significant way. You'll stay with a host family in Hanoi. They will welcome you into their home, eager to share their customs and have you teach them about your own culture. We believe that this is the best way to immerse yourself in the culture of Vietnam and have a truly unique experience. We also have shared accommodation where you can stay with other Projects Abroad volunteers and interns. Vietnam offers a mix of bustling cities and picturesque countrysides. With so many different activities and tourist sites, you’re bound to find plenty of ways to spend your free time. For a glimpse into the country’s history, you can spend an afternoon exploring the Vietnam Museum of Ethnology or the National Museum of Vietnamese History. The Ho Chi Minh Mausoleum is also a major historic site, located in Hanoi. If you’re looking to buy some souvenirs, there are many markets with locally made products on sale. Evenings in Hanoi are filled with excitement and bright, colourful lights. You can watch street performers and then head to a nearby restaurant for a taste of local cuisine. 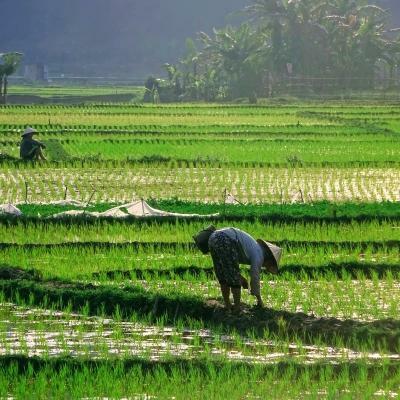 The countryside, with its emerald rice paddies stretching to the horizon, provides the perfect escape from the busy capital. 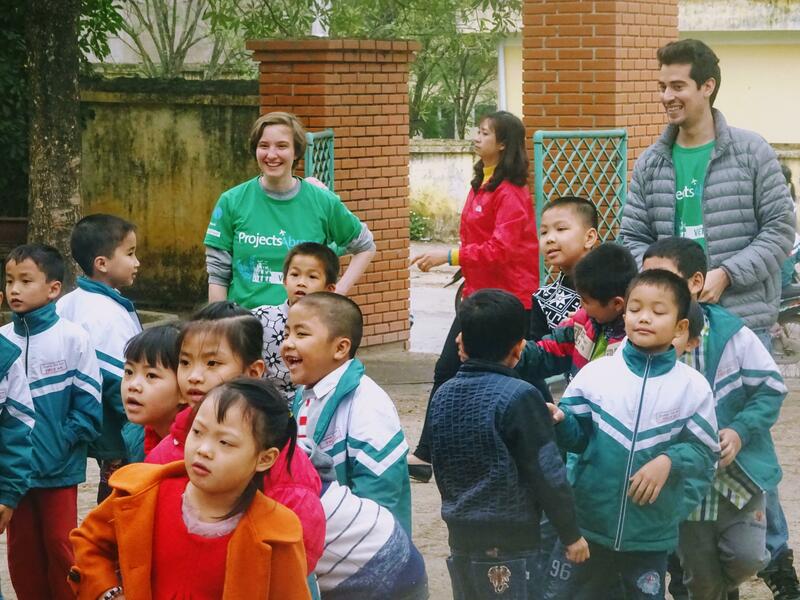 We run many different projects in Vietnam, so there will likely be other volunteers in-country with you. This makes travelling as a group easy to arrange. However, you’re welcome to explore independently if you prefer.